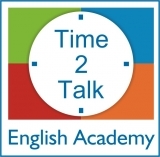 Time2Talk English Academy Thailand is seeking full time Middle/High School and Kindergarten teachers to start workin May in Suratthani, south of Thailand. We are offering a one term (May-Sep 2019) and/or a one-academic year (May-Feb 2020) contracts. Salaried positions with visa support and a company funded work permit. Teachers who are in Thailand now or teachers who are due to arrive imminently would be the ideal candidates. The successful applicants need to have high levels of energy, a strong work ethic and bundles of enthusiasm. Applicants must hold a bachelor degree in any field. All applicants should have a TEFL qualification, CELTA or any other relevant ESL qualification. Please bring all original certificates with you, they are required by the Ministry of Education during the visa and work permit application process.